Initially, we would like to speak a bit about having “something else” that has to be done before one/you/everyone, are able to find the time to connect with your own Higher Expression of Self. What we would like to say to you is that once you are thinking in terms of "time", it’s already too late. Already, you are within the confines of your third and fourth dimensional reality. So before you ‘find the time,’ you will need to center yourself and allow your consciousness to expand into the upper fourth and fifth dimension. Then all time is NOW. Shawnna would you like to ask us a question? Shawnna: Sure! In response to what you just mentioned, it sounds as if even when planning or setting intentions for agendas and activities and management of schedules, it is advisable to do so in a higher state of consciousness? The Arcturians: Yes it is definitely advisable to do so in a higher state of consciousness. Shawnna: Then, that higher state of consciousness creates potential for so much more because you are more fully aligned with your activities and initiatives? 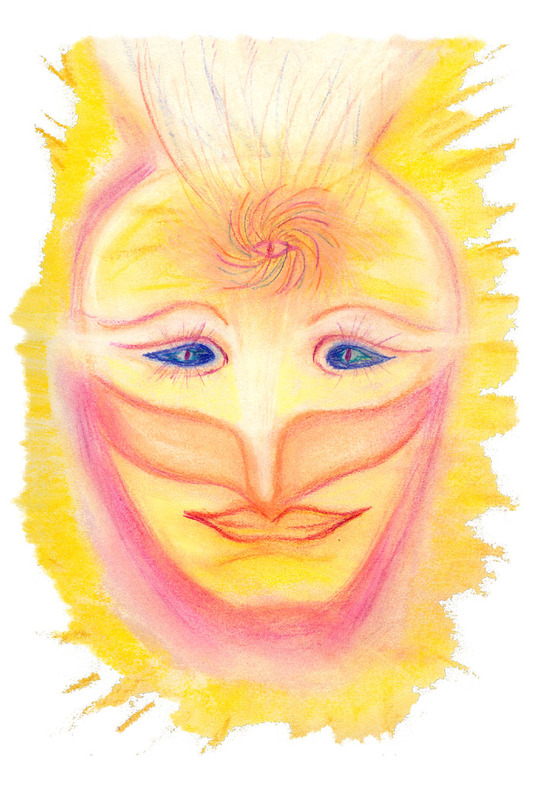 The Arcturians: Yes. This moment of alignment with the higher frequencies is definitely something that is difficult for those who are new to the process of realizing that they are not just third dimensional. It is especially difficult for those who are new to the realization that it is their own higher expression of SELF that is over-lighting them within every moment. Their higher expressions of SELF are also sending higher frequencies of light into their core to begin the activation of their Kundalini. Also, when they are not aware that this higher energy is REAL, that ascension is REAL, that what they are exploring is something that is ACTUALLY happening, then it comes into direct juxtaposition with their daily life. Now before that, before they came to this realization, meditation and reading spiritual information is something that they do on their spare time. During their daily life, during their work life, they are making money, raising a family, taking care of their home, and driving to work. Therefore, a primary percentage of their consciousness is still logged in to the third/ fourth dimensional illusion. However, as they, the awakened and awakening, ones, allow themselves to fully embrace what is occurring during their inter-dimensional communications, meditations, and dreams as 100% real, once that component of their life matches their third dimensional life, they come to a quandary. Others may say, “You know what, I LIKE the way I feel when I am connected with my Higher Self! And I’m going to give it and try and see if I can clean the house in that state of consciousness. Can I go through my emails in that state of consciousness? Can I have a meditation just because I feel like I need to get more important information and then make sure that I write it down? Can I begin to make these kinds of choices in my daily life? But what if you center yourself and move into that state that is increasingly coming into your consciousness? This feeling is one in which you feel that you are not alone, that you are protected, that you are over-lit, that someone is whispering something into your ear all the time. What if you could embrace that feeling that you can’t always grab, but you REALLY want to? What if you somehow “found the time” to be still and listen, to even jot down what you’re receiving and maybe even share it with a friend? THAT is when you are beginning to choose to make ascension normal. That is when you have entered into that process of “I am leaving the old normal. I am moving into the new normal. And, the new normal is that I AM on the path of the process of, minute by minute, experiencing interactions and intercommunications with energy fields, with plants, with animals, with people’s consciousness, with my own higher guidance." As you begin to live the new normal, it doesn’t matter what other people think. If somebody else says, “That’s weird,” you’ll just smile. And, in fact, you’ll remember to look at their aura and see if they want that information, because to give them the information if they don’t want it, just frightens them, and then they say something mean or rude to you because you scared them. Therefore, before you share, make sure you take a long moment to check out their energy field, to ask a couple of introductory questions and see if they really want to hear what you wish to say. If they really want to hear it, then you’ll have a good experience. You’ll feel good about it. You’ll feel good about this new reality that you are creating by sharing it with others. Then, as you feel good about sharing, your consciousness will expand more and more. You bring your clairsentience online, and you’ll instantly be able to feel if a person is ready. You’ll bring your clairvoyance online to see via your Higher Self what’s occurring, and you will bring your clairaudience online so that you can hear your Higher Self. As these higher perspectives of life come online, you will automatically begin to shift your consciousness. It is not that “oh no, you have to meditate even longer.” No. Actually you’ll probably have to meditate less. You’ll need to read less articles because you will be within the moment of that newness. We wish to remind you that you will still have a physical body. You still live in the physical world. You will still get pulled out of your reverie. You will get a phone call. You will have a child that is crying. You will have a neighbor that knocks on your door. Part of making ascension normal is that ascension is normal! It is normal to be interrupted, it is normal to be distracted, and, it is normal to have something else happen. Therefore, when you make ascension normal, you “normally integrate” all of these distractions and disruptions into your process of ascension. Shawnna, we’re asking you if you have any questions or comments that you would like to add to this little commentary that we will share with our friends? Shawnna: Well, it’s a valuable reminder of the common challenges that we face as we go through this transition of expanding our consciousness and slowly, one moment at a time, and are exiting the matrix, as we go through the reprogramming. We are shifting into that new operating system where there are so many potentials and possibilities. It is a fascinating process to imagine how far we’ve already come! We are beginning to understand how we create our own realities. Thus, it is a helpful reminder to remember that it is okay to still live in 3D, while we are learning to balance the 3D/4D/5D connection and, also, being as mindful as possible to make the best decisions to, moment to moment, create the highest possible reality. As we have said many times, “What could be more important than planetary ascension?” I think that that question clarifies our purpose and is a very important reminder. The Arcturians: Yes, “What could be more important than planetary ascension?” is a good sign to put up at your work desk, on your Facebook, on the desktop of your computer, to remind you to make ascension normal. What is probably the primary difficulty that we observe from our higher perception is that people will say, “I’m busy, and I just can’t do that now. I just don’t have time to do that now.” We want to remind you that that sentence arises when you are now looking at your life via the third or the fourth rung of this ladder. Then, because you asked the question, you will find the answer. Then, you can go back to your desk, finish that to which you have found the solution, and you leave work early because you finished all your work. Know that the process of simultaneously going through ascension, while you do your daily life, actually greatly assists you with your daily life. We the Arcturians say, “Blessings to all of you. We wanted to peek in and say hello to you all. Shawnna did you want to add anything? Shawnna: Oh, I think it’s always fun to have discussions like these to show us that ascension is normal. Sometimes, when we have difficulties, having that higher perspective is so valuable. In fact, that is what it’s all about. So thank you, Arcturians, for this reminder. You are wearing a human being. Your Lightbody is anxious to burst forth into your daily life. Thanks for prioritising your time to communicate this - a useful and "timely" reminder!!! Bon voyage.,. "You know what, I LIKE the way I feel when I am connected with my Higher Self! And I’m going to give it and try and see if I can clean the house in that state of consciousness." "Then, you can go back to your desk, finish that to which you have found the solution, and you leave work early because you finished all your work." ...And BEcoming instead, souly/solely focused on permanently fusing with your Higher Self at ALL TIMES and operating only from the Higher Self passionate, playful, joyful mode of 5D+ realities. Hahaha too right I am!!!! But what if you center yourself and move into that state that is increasingly coming into your consciousness?" My ego is my higher self, it is my center and always supports me out of the templates. Counter-effect? Why? I just made an image with "What could be more important than planetary ascension?" to place around my house. Even found a Pleiades star cluster photo to use as background which seemed fitting. I will come back to read this again as I listen to the audio version on YouTube https://www.youtube.com/watch?v=v1qb_A3rMqw. A very good reminder. Thanks! I really enjoyed hearing the perspective of planning from a higher perspective to release the limitations and confines of 3D "time". When we plan from that state of consciousness, the possibilities (and productivity) are endless (a big plus!) Also, I sense the truth in needing to meditate less and less as we constantly integrate and adjust to the highest octave of energy flowing through us. The frequency of NOW keeps us "expanded". In this way, ascension is normal as we live it every moment. Thank you for your enlightening posts. Enjoy your vacation. Thank you for letting us share our experiences. I find it that in this NOW as we are shifting back and forth between 3D/5D it is so important to "LET GO". If we overthink it goes against us and lowers our vibes so might as well let go and let it flow. Whenever I feel conflicted I go to a park/open field or basement of my home and just stand barefoot grounding/earthing and connecting to Mother earth requesting her to flush those conflicts from my system and I do feel earth's vibrations and so much more calmer/relaxed after that. So our planet is assisting us as we assist her. Also recently I have noticed that when I go to public places I feel loving energetic embrace in my hands as people walk past me as if their oversouls are all saying hi to me even if they sometimes are not even looking my way. Same embrace from trees in a park no difference between human/trees energy embrace maybe that is oneness of all or maybe I am not fine tuning. Few days ago I heard sound of conches being played like they were celebrating something up there astrally lasted for about 15 seconds next day I heard a youtube video that critical mass for ascension has been achieved or it could just be the ringing in my right ear that I have always had. Thank you for the reminder and the beautiful insights! Wanted to add also that I'm reading Telos Vol. 2 and once again this subject comes up and there's a chapter explaining why this is all so important now. "Your divine presence, with great patience and compassion, has granted you thousands upon thousands of these opportunities. For so many of you, each time you came here you ignored the reasons for your coming. Lifetime after lifetime you did not meet your goals for that incarnation. This is why you are still here facing many challenges instead of enjoying the bliss of the light realms. You will keep coming back, again and again, until you finally surrender to the longings of your own soul... it yearns to bring you back home, but it cannot force you; it requires your willingness, your intention and your cooperation." Once again making me really rethink the question: What could be more important that planetary ascension? Thank you for this message, it is very important and helps me alien with my higher self in all human 3rd detention situations. In response , I live my life in the moment too moment, so making time does not apply in my life, guidence also flows through the moment, taking care of anything also flows through the now. Whatever life presents is responded too in the now, Living life in Simplicity Ordinariness Innocence is my way .Have lived this truth now for 25 yrs.